Meanwhile, in 2-quart saucepan, mix granulated sugar, cornstarch, salt and water. 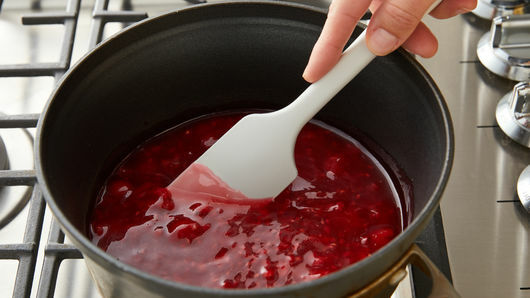 Stir in 2 cups of the raspberries. Heat to boiling. Boil 1 minute, stirring constantly. Stir in butter. Cool completely, about 30 minutes. Stir remaining 2 cups raspberries into cooled raspberry mixture. Spoon into cooled baked shell. Refrigerate at least 2 hours before serving. To serve, in medium bowl with electric mixer, beat whipping cream, powdered sugar and vanilla on high speed until stiff peaks form. Garnish pie or individual servings with whipped cream. Store in refrigerator. Homemade pie? Oh, pa-leeeze! Who's got time to make pie? News flash: You do! I'll admit, I've made my share of pies with homemade crusts like my grandma did. 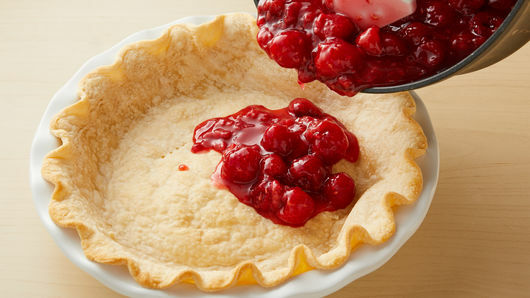 There are lots of days, though, when a pie sounds irresistable -- but the long prep and mess make it totally resistable. On those days, I head for the fridge to fetch a ready-made crust. Now don't curl your lips up like that. I didn't used to be a fan either. But over the years, these refrigerated pie crusts have gone from good to amazing -- totally tasty, tender and flaky. And here's my closing argument: If the decision is whether or not to have a homemade pie for dessert tonight, I'll take the pie -- refrigerated crust and all -- every time. I rest my case. 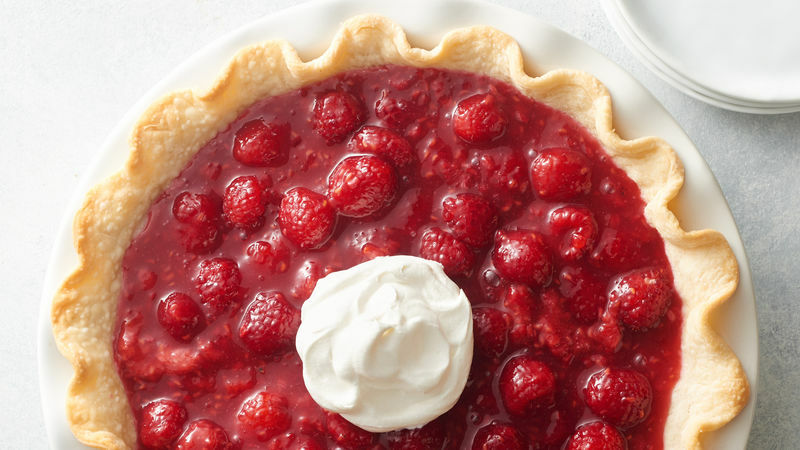 So, this is Pillsbury's super easy recipe for Fresh Raspberry Pie -- check it out below -- and it's about the best thing since sliced bread for the 4th of July. Serious delish on a plate. Serious ease on the prep. And if you want to red-white-and-blue it up, just add some blueish sprinkles to the top and your pie'll be as colorific as the flag. My pie didn't last long enough for me to add the blue sprinkles. Once I bit into that bite on the fork there, I put the camera down ... sigh ... and you can guess the rest.